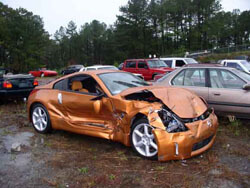 At Metro Car Removal, we surely take care of all your broken, old, rusted, accident, damaged, scrap, used or unwanted cars that are not worth repair or registering. We pay up to $7000 for same day car recycling in the city. We buy cars even if they’re in worst possible condition, and we always pay the promised amount on the spot. Besides car recycling, we also pay cash for junk vans, trucks, boats, bikes, jeeps, SUVs, 4×4, 4wds and other commercial vehicles. One hour car recycling service across the city can ensure same day removal and pure cash in your pocket for that piece of worthless junk that was lying unused for years in your yard. 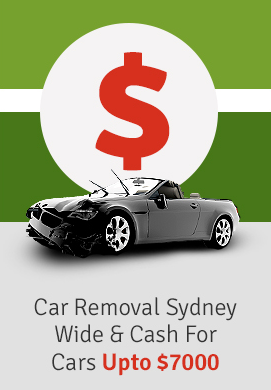 We cover all Sydney areas and can reach your place even on weekends to ensure speedy car recycling. If you really want to experience our world class trustworthy service, contact us immediately on phone or on our website. We promise we will revert within hours with a TOP DOLLAR quote that’s almost impossible to match. We guarantee you complete satisfaction anywhere in the city. We have thousands of satisfied customers. Now you won’t have to pay even a dime for your old, junk 4×4 to be hauled of to a distant wrecking yard. Our efficient car recycling now extends even to commercial vehicles such as 4×4’s and trucks. We accept all models, any year and condition. Whether it’s a pure junk, is in mind condition or its transmission is out. We offer you FREE quote and same day speedy removal. We can easily pay you up t0 $7000 for efficient same day removal. We also purchase oversized trucks (Mitsubishi, Toyota, Mercedes, Nissan UD, Daihatsu, Volvo, etc) and we have the best possible equipment and strategies on how to properly handle oversized junk trucks that makes us pay you TOP DOLLAR with very low overheads for us. There’s absolutely no pressure- Before you decide on selling your junk car to us, you’ll receive a car recycling FREE estimate from our team. There won’t be any towing fee or other hidden charges. We will quickly answer all your questions about our pricing structure and junk vehicle removal. 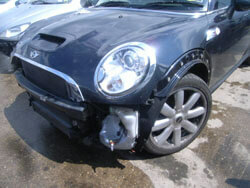 Peace of mind-Our highly trained car recycling team is fully insured, licensed and bonded. Multiple last minute options-As a customer, you’re definitely our priority and we can remove your car or any other vehicle on the same day, next day, or on weekends as per your convenience. Eco-friendly removal-We guarantee eco-friendly green removal. That means, when you choose us for car recycling, you’re actually helping our environment. We donate or recycle each vehicle we tow away. Relax and smile-You will surely be all smiles because our highly efficient removal team will make sure you deliver the best and the most courteous service you’ve ever experienced. We will usually call you 15-20 minutes before arrival at your place. We will arrive precisely on time with a tow truck. We will complete all paperwork and will immediately two away your junk vehicle for free. 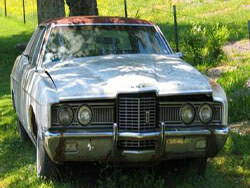 At Car Recycling, our old unwanted junk car removal is state of art. We’re expert car wreckers with a rich industry experience and can quickly salvage even the scrappiest old car or other vehicle, recycle its parts and metal and bring you TOP CASH for your junk. So when environment is your concern, and you also want to pull some cash from your old vehicle, then call us for same day service. We’re the most reliable and fast junk car recycling service in Sydney and have 10 years of rich experience. We always pay the HIGHEST POSSIBLE price and are fully bonded and licensed for the job. We’re sure of what we are doing. Our experienced car appraisers know their work and we serve all suburbs. We never let our clients down and our no-obligation free quotes are fast and honest and our services are reliable. Unlike other companies, we never give one quote over phone and then offer completely different price when we come for pick up. All our drivers are well trained for car removal and recycling and will make the removal process easy and fast. Schedule your FREE estimate call us at: 0422 600 833 and one of our team members quickly check the local availability and schedule removal at a time that’s most convenient for you.